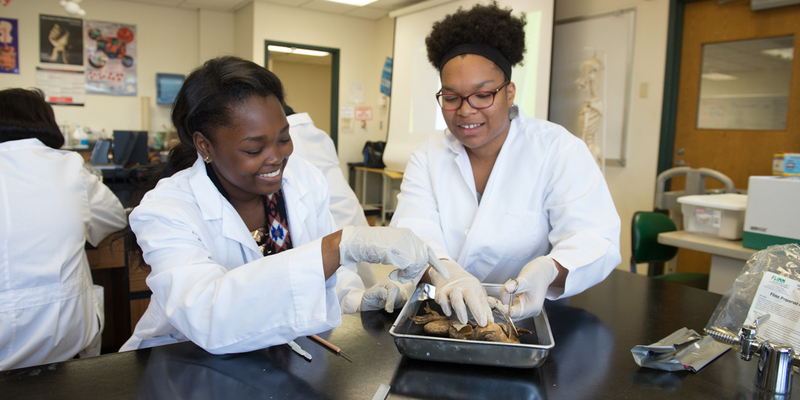 Southern Illinois University Edwardsville’s East St. Louis Higher Education Center is building a talent pipeline to help increase college and career readiness for first generation college students starting at six weeks of age continuing through grade twelve. The talent pipeline connects low-income, students in the Metro East new opportunities to build cognitive (increasing score in math, science, language) and non-cognitive skills (resilience, grit, growth mindset) that lead to success in high school, post-secondary education and in careers. Programs like Upward Bound fulfill a critical component of the talent pipeline by providing critical support services to middle and high school students to help them succeed academically, graduate on time, prepare for college level courses, apply to and enroll in post-secondary education and prepare for living wage jobs in high demand fields.